It’s 4 Years on and we’re still rolling up our sleeves busy doing the Nation’s dirty work, and we wouldn’t have it any other way… Here’s how it all started. 4 years is a huge milestone for a startup, most don’t survive their first year. Most don’t reach a height of success years beyond that, too. We share a stage with the likes of JustEat (2001), Uber (2009) and AirBnB (2008) all founded in the noughties. Just think where we’ll be in 4 more years, or even 10 years! The future brings a lot of exciting possibilities and we’ve got a dedicated team making it happen. 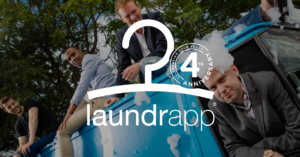 The Founder Ed Relf, COO Antony Pink, CCO Jack de Montaignac and the then CTO of Laundrapp Nick Bransby-Williams completed the founding team. It all started with £1.5m of seed funding led by Rupert Hambro and serial entrepreneur Dominic Perks, who had the initial brainwave for the business. A team of London-based entrepreneurs were pulled together. Following months of planning and trials, we went big and invested a six-figure sum in marketing across TV, London Underground, radio and outdoor advertising. At that point, the business took off and Laundrapp was officially born. From there we secured more funding, expanded across the UK and then started licensing our app worldwide. 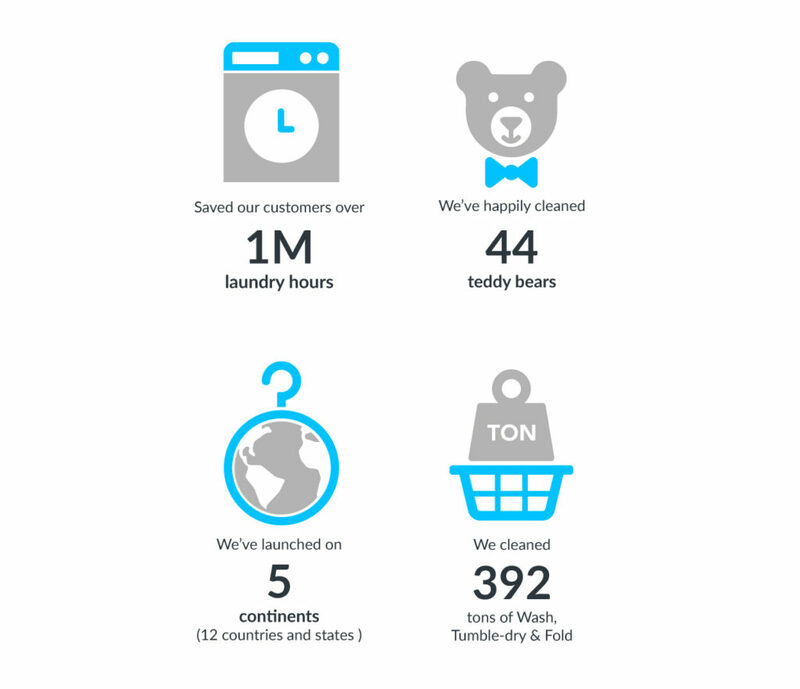 In the last four years, we’ve helped our customers save 1 million hours doing laundry. And we hope you keep those dirty socks coming in 2019 and beyond because we love nothing better than helping you wave goodbye to boring chores and say hello to more free time — and beautifully clean clothes. Your support so far has helped us grow faster than we ever imagined, so we’d like to say a huge thanks to all our customers! Our plan is to keep on innovating and helping more people get their laundry done without the hassle.